*Coverage provided where applicable by law. Service may not be available where state providers are exclusively utilized. Dispatch services are administered by VAS. Benefits are valid only for this vehicle. Certain restrictions and exclusions apply. Complete four wheel alignment. Proper wheel alignement will extend the life of your tires and make it easier for you to drive your vehicle without it pulling to one side or the other. See your Service Advisor today! Restrictions may apply. Not available with other discounts or promos. Keep your air conditioning running at peak efficiency with our A/C Recharge Service. 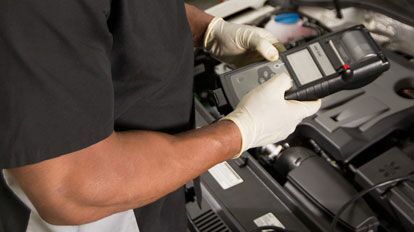 We will test your system for proper cooling & operation, inspect hoses & connections for leaks, & add up to 1lb of R124A refrigerant. Restrictions may apply. Offer cannot be combined with any other promotions.